The PinAAcle™ series of atomic absorption (AA) spectrometers brings AA performance to new heights. Engineered with an array of exciting technological advances, it offers a variety of configurations and capabilities to deliver exactly the level of performance you need. And no matter which model you select (900F, 900Z, 900H, 900T), you’ll discover an intuitive, highly efficient system capable of simplifying your journey from sample to results—even with the most difficult matrices. Experience peak performance and unmatched productivity. 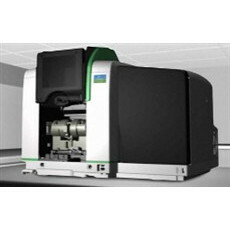 Find new and used PerkinElmer PinAAcle 900's and other Atomic Absorption. Buy now or connect with sellers to request a price quote.